I don't have long today as I'm off to a wedding. My brother's closest friend is getting married and we've been invited to the evening reception along with his parents. He's been a constant fixture in my life since I was about 8 so I'm really pleased he invited us. It's just a shame I'll look like a whale in my dress. I've been doing some bits of stitching - as you probably guessed by the title of the post, and I thought I'd show you what I've been doing, although they aren't finished. This is my first attempt at Sashiko stitching. I used the mini-book Sashiko from my set of "How to Sew" books which explained how to draw the grid and make the pattern. 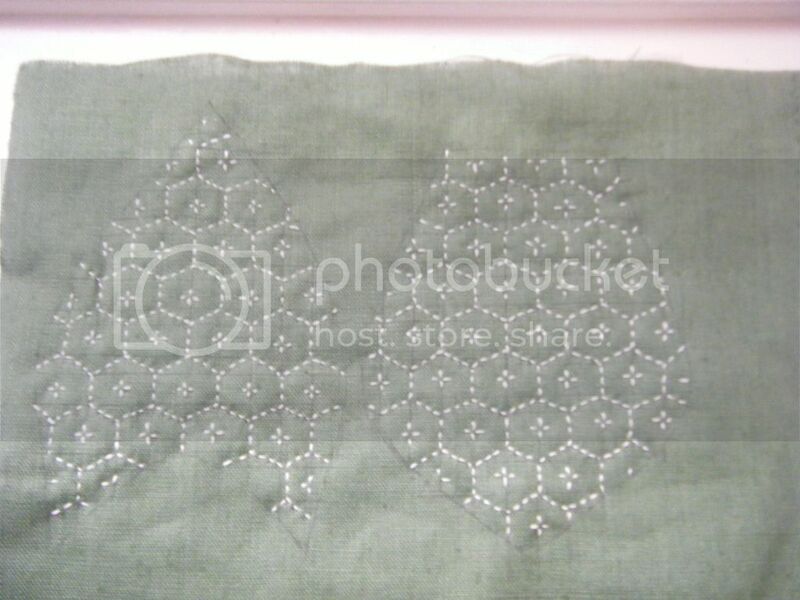 The book suggested using Sashiko thread, but I wanted to use what I had to hand. It said that Coton A Broder was a good alternative. I don't have any of that so I went with Perle Cotton size 8. The green linen is wonderful Latvian linen from my lovely friend Fiona. I also tried my hand at bead embroidery. 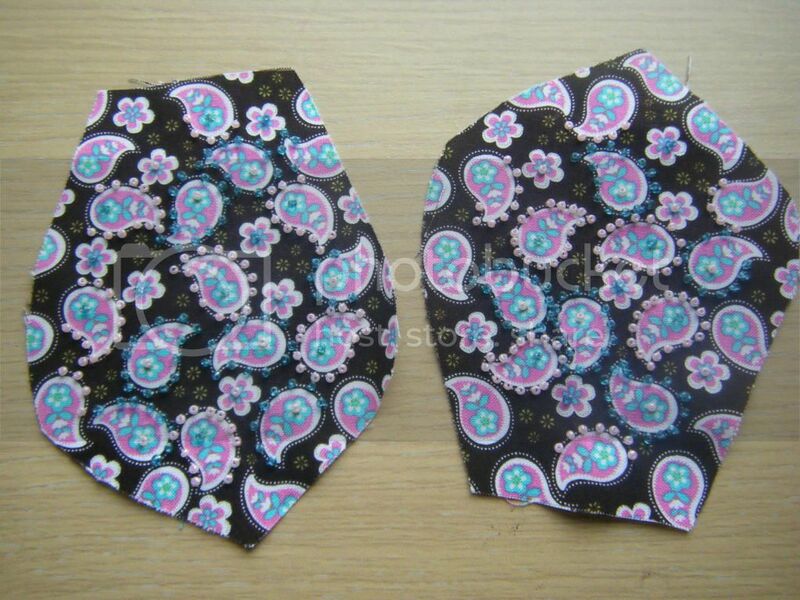 I didn't use a book, I just sewed seed beads (size 10s) around the paisley motifs on this Michael Miller fabric and added dots to the centres. I just hope I haven't sewn any in the seam allowance! If you're wondering what these strange shapes I'm working on are... well you'll just have to carry on wondering! All will be revealed on the 6th November. I couldn't get a decent photo that showed the beads properly, but this one above gives them some height. 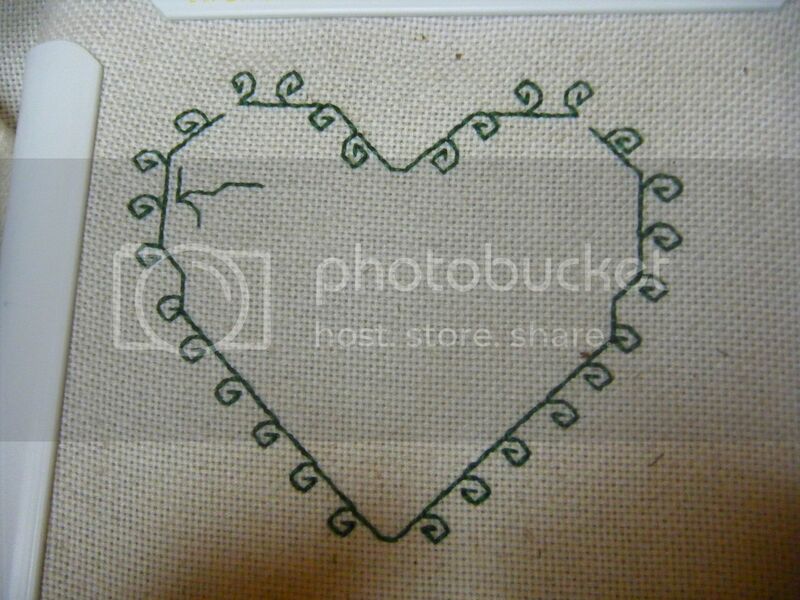 Finally, I started a small cross stitch project, on a whim. I know, there are no cross stitches on it yet, but there will be! Very intrigued by the 'shapes', the sashiko is coming along nicely too. It's very frustrating when kits don't come with enough threads, I'm always very frugal with kit threads, yet they run out so often. they look lovely so far. 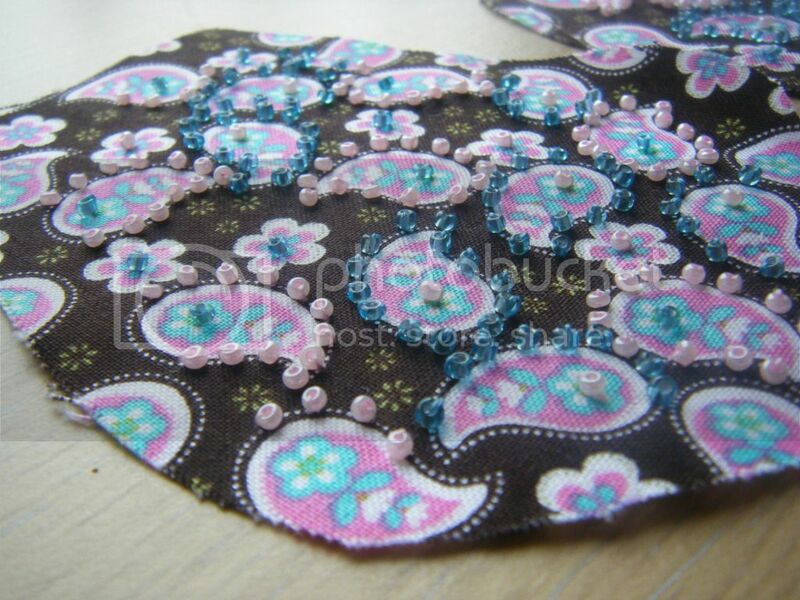 these are some lovely stitchery bits! 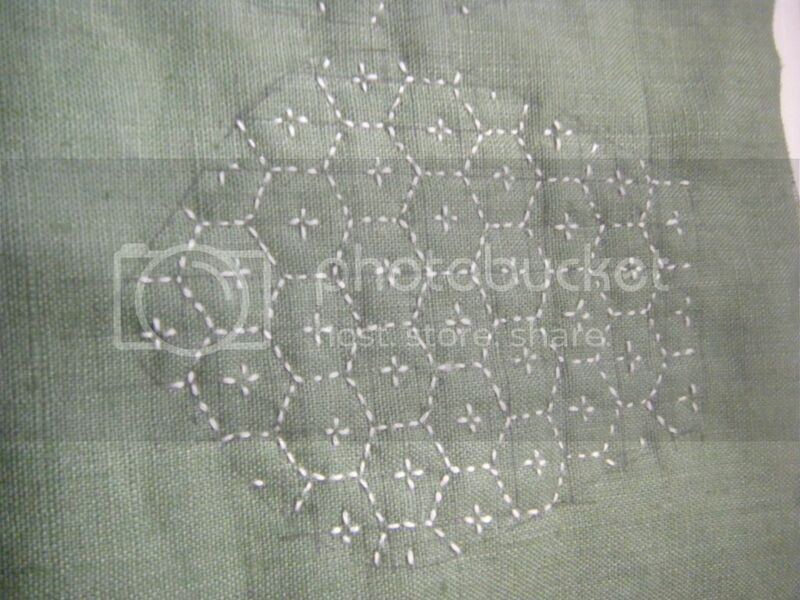 i'm especially enamored with your sashiko. I looooooove stitching it's soooo addictive. 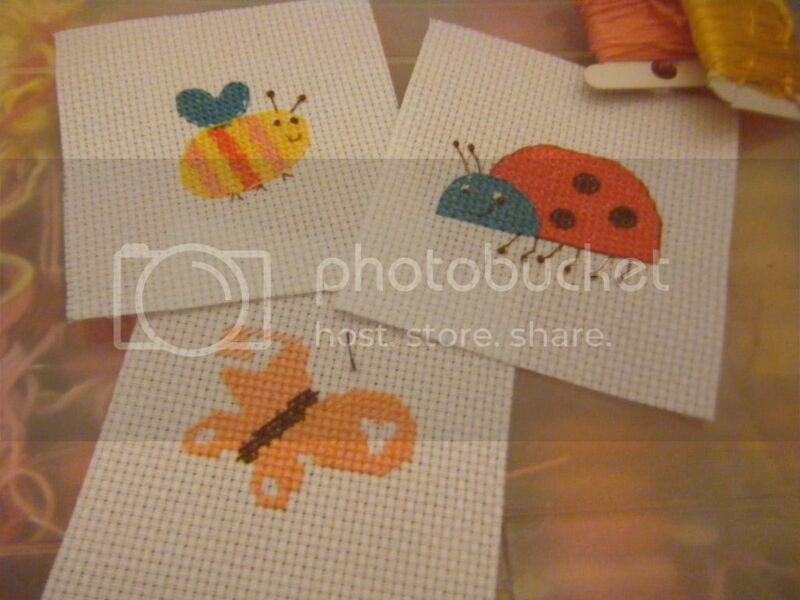 Your cross stitch critters are adorable and I'm loving the bead embroidery around the paisleys. I really like your projects! I hope you had a nice time at the wedding. I am sure you looked quite lovely, because you were so happy for your friends. Your sashiko is very striking, I've never seen that technique before, but I love it, great work. Oh, oh... I recognize those shapes but I'll keep your secret... lol. Lovely work, btw. 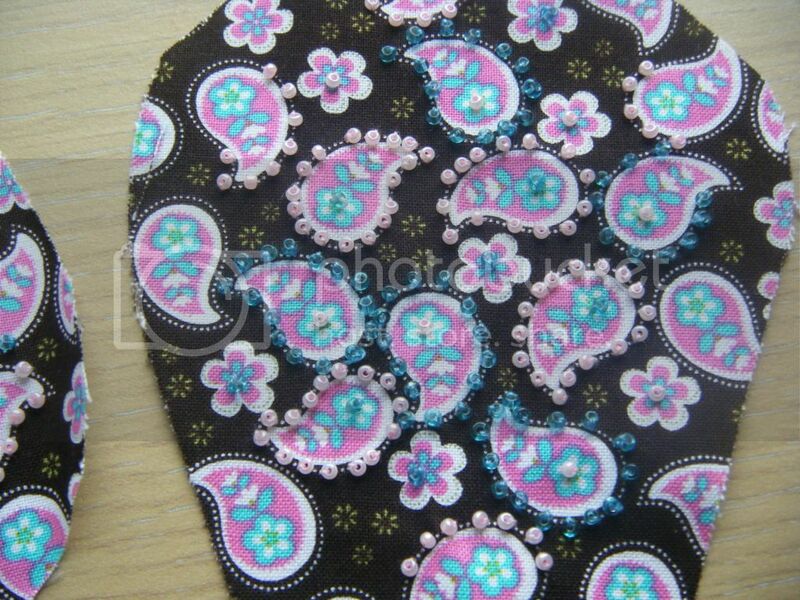 Amazing stitching you've got here!! You've been busy! 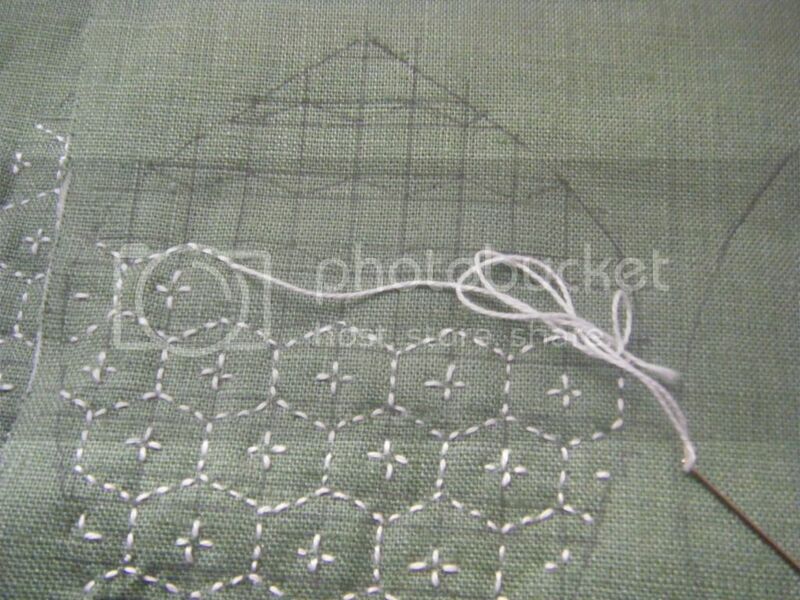 Love seeing the bits of stitching you've been doing. Can hardly wait for the full reveal on those beaded pieces... they're looking gorgeous! Beautiful work Wendy! I especially love your sashiko and that green linen is wonderful. Lovely, lovely work!